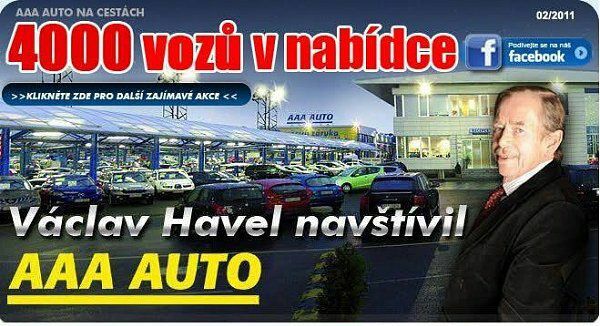 In today’s business news: The Czech antimonopoly watchdog launches a probe into the controversial Promopro contract, industrial production in the Czech Republic has grown by 15.2 percent year-on-year, the average cost of purchasing a vehicle continues to drop, former president Václav Havel features in new ad campaign for the used car dealer AAA Auto, and the Karlovy Vary airport will get a new departure hall. Alexandr Vondra The Office for The Protection of Competition has launched a probe into the no-bid, multimillion-crown contract to provide audio-visual services for the country’s 2009 EU presidency, the head of the office, Petr Rafaj, announced on Thursday. Mr. Rafaj said that the office was going to investigate carefully whether the firm Promopro, which landed the overpriced deal, was in fact the only company that would have been able to furnish such equipment. 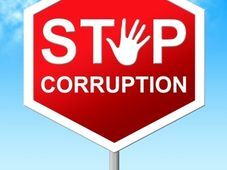 The antitrust office can fine the Office of the Government up to five percent of the total cost of the contract should the investigation confirm that it was awarded without consideration of competitors. 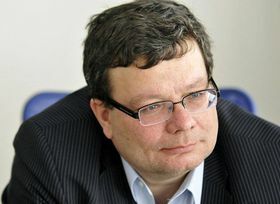 In March, Defense Minister Alexandr Vondra came under severe pressure when allegations became public that he, in his role as minister for EU affairs, had been responsible for signing the overpriced contract. However, the leadership of his party, the Civic Democrats, came out strongly in Mr. Vondra’s support. Photo: European Commission Industrial production in the Czech Republic grew by 15.2 percent year-on-year in May, according to data published by the Czech Statistical Office on Friday. 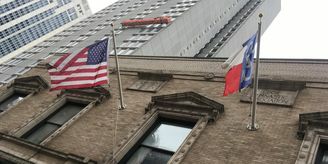 While the rate of new orders in May grew by 5.2 percent in the industrial sector, the construction sector took a hit. 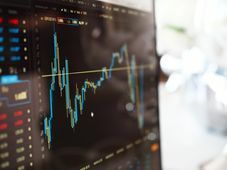 Business in this sector decreased by 4.9 percent year-on-year in May, a development that mirrors overall drops in construction activity across the EU. 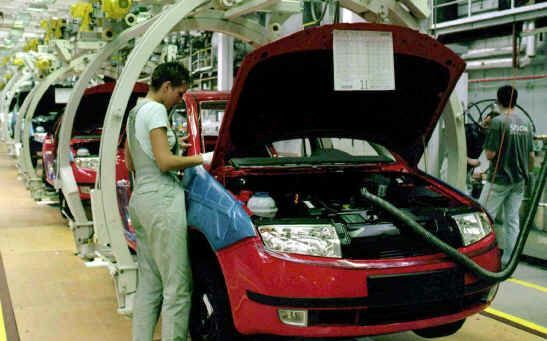 The increase in production of cars and other motor vehicles had a significant impact on industrial growth; production of such goods grew by nearly 30 percent year-on-year. By contrast, the production of electronics, optical instruments and computers dropped by 9.5 percent. 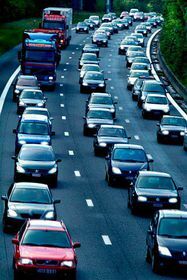 Photo: European Commission The cost of purchasing a new vehicle has dropped significantly over the past 20 years. While in 1989, Czechs had to pay 27 average monthly wages to buy a Škoda Favorit, a small family car, a total of seven average monthly salaries will cover the cost of a Renault Thalia, the cheapest car currently on the market. A Renault Thalia retails at around 150,000 Czech crowns. 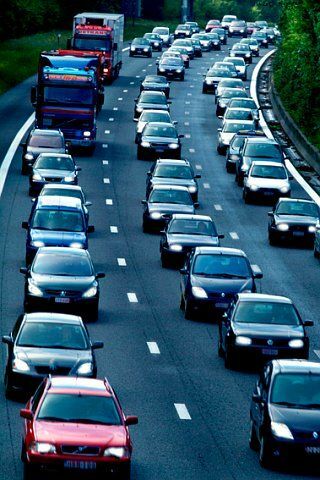 Not only small vehicles are affected by this development: Medium-sized vehicles are also becoming more affordable, and many Czechs are buying larger cars than those which they used to be able to afford in the past. Prices for small and medium-sized vehicles on the Czech market are among the lowest in Europe; as a consequence, many German car dealers buy vehicles here. One in nine cars sold in the Czech Republic is later registered abroad. 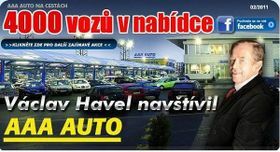 Former president Václav Havel features in a new ad campaign for the used car dealer AAA Auto. 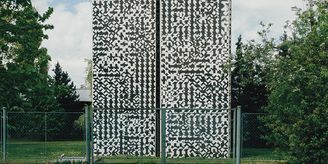 The company agreed to loan a car to Václav and Dagmar Havel’s VIZE 97 foundation for a year free of charge. In exchange, the former president, who is a popular public figure, agreed to have his picture taken for billboards, posters and other promotional materials. According to his secretary Sabina Tančevová, Václav Havel was filling in for his wife Dagmar, who at the time was out of the country and unable to lend her face to the new ad campaign. 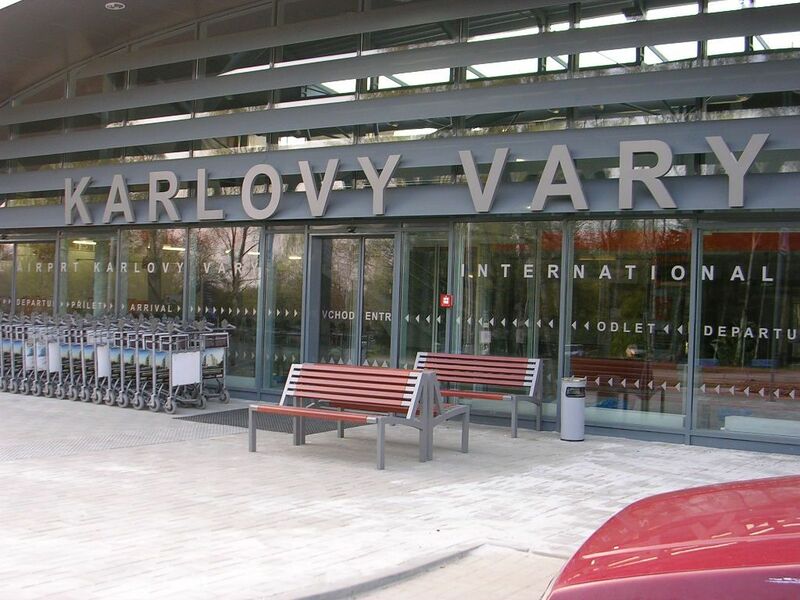 International Airport Karlovy Vary The International Airport Karlovy Vary will be expanded by a new departure hall, paid for by the Karlovy Vary region in an effort to increase the airport’s capacity. The project will cost 30 million Czech crowns; regional authorities have invested millions of crowns into the airport in the past seven years. The opposition has criticized the expansion, arguing that the small regional airport would never attract as many travelers as the proponents of the project expect. The expansion will allow four flights to leave simultaneously, satisfying airlines with specific demands for departure times. 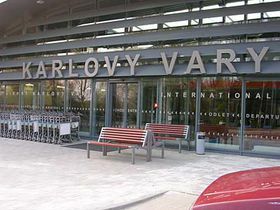 Direct flights from Karlovy Vary at present only go to locations in Russia. Negotiations to expand direct routes to include destinations such as Munich, Frankfurt and Vienna have not been successful to date.